Location: Linkoping in Linkoping Municipality, Ostergotland, South-East Sweden. Notes: Ekenas Castle (Ekenas slott in Swedish) is a castle located outside Linkoping in Linkoping Municipality, Ostergotland, South-East Sweden. The present castle was built in the 17th century on top of the foundations of a medieval fortress from the 14th century. The lake surrounding the castle hill created a natural defense; however, this was drained in the late 19th century to create more arable land in the area.The castle is, and has always been, a privately owned castle. Its ownership can be traced back to Svante Sture. He lived during the reign of King Erik XIV, ruler of Sweden from 1560-1568. When King Erik XIV ascended the throne, he set about to win the favor of influential people in the Swedish aristocracy. One of his strategies toward that end was to bestow on three of Sweden most powerful nobles the title of 'count'. This was an unprecedented move in Swedish history, and one of the recipients of the title was Svante Sture. One of the first things Svante Sture did to exhibit his new-found status was built a stone house in 1952 on the site of the Ekenas Castle. Some time in the early 1880s, count Philip Klingspor acquired the castle and its surrounding area. That marked a new era in the castle's history. The castle went from a citadel to a center of farming and forestry business. The castle's current owners are the Bergengren family. The Bergengrens, who were earlier in the textile manufacturing business, bought Ekenas in 1939. When they took over the castle, it had been unused for several years. The castle, in fact, has long been derelict. It is the surrounding area, totaling 1200 acres, that is more valuable. 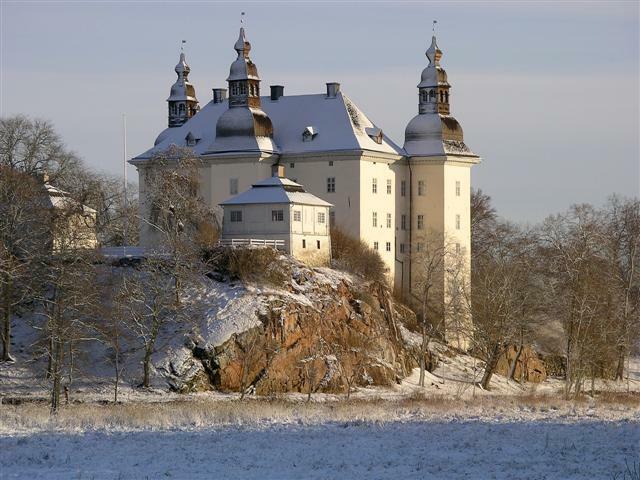 It was this combination of rich soil and ample forests that motivated the Bergengrens to buy the castle.